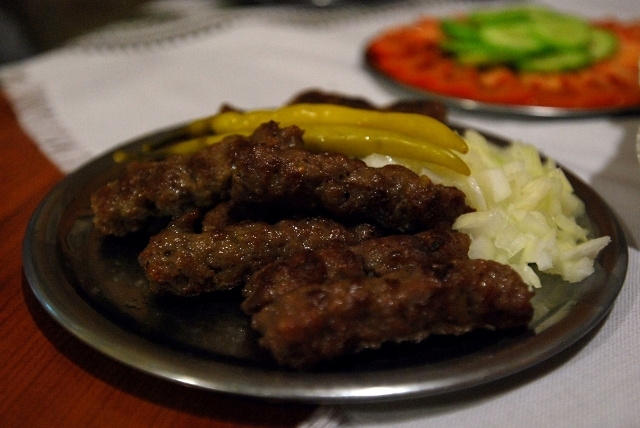 If you ask the people of Skopje where to find the best kebabs in town, you will probably get at least a dozen different answers. However, the most common response you get will be: “Destan, you can’t go wrong with Destan.”The owners of Destan kebab restaurant have several around the city, but we strongly recommend visiting the oldest one, the place where the glorious story of Destan and his kebabs began more than a hundred years ago. It is located in the Old Bazaar in the alley between the shops. There you can feel the authentic feeling as you wait for your “ten with onions”. There is an unwritten rule that kebabs should be eaten three times – first with the nose, then the eyes and finally with the mouth.